Shortly after being tapped to served as National Security Advisor, John Bolton vows to press bureaucrats to implement Trump's policies. Former US Ambassador to the United Nations John Bolton, who was recently tapped to serve as President Trump’s National Security Advisor, was mum Thursday night regarding the direction he believes policy will take in the White House following his appointment, but promised to serve as an “honest broker” for the president, and to spur recalcitrant bureaucrats to implement the administration’s decisions. Earlier on Thursday, President Donald Trump announced via Twitter that National Security Advisor H.R. McMaster would be replaced next month with former Ambassador John Bolton. Less than an hour after the announcement, Bolton told Fox News that he would “articulate” his views to the president, but would also serves as an “honest broker”, presenting Trump with all policy options and their various costs and benefits. "I have my views. I'm sure I'll my chance to articulate them to the president. Some people don't like people who have substantive views, they're more processed-oriented. But if the government can't have a free interchange of ideas among the president's advisers, then I think the president is not well served." "Different presidents have different approaches, different styles. But I think the consensus would be that the national security advisor... has two critical roles. One, that the president has the full range of options presented... [so that] the president has the chance to weigh the pluses and minuses of all the options being presented. I think that is sometimes described as an 'honest broker' role, and I think the national security advisor - if the president wants to hear his opinion, he'll give it as well." Bolton also alluded to criticism leveled by President Trump and some of his supporters that elements within some government agencies, including the State Department and Department of Justice, were intentionally evading or even hampering implementation of the president’s policy goals – a phenomenon referred to by some as the “deep state”. “Deep State Justice Dept must finally act,” Trump tweeted in January. 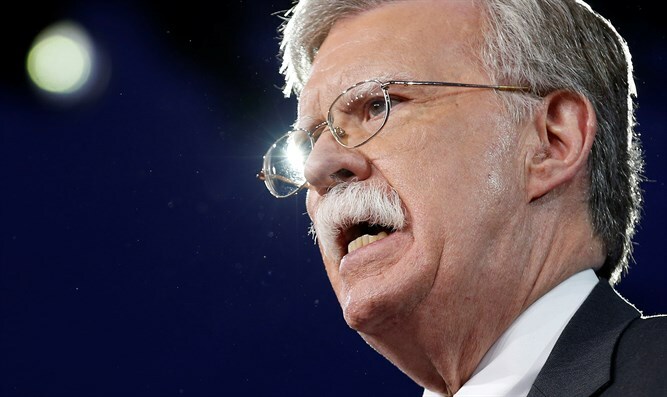 "The other side of the coin is that when the president makes a decision,” said Bolton, “the national security advisor...is one of the leading implementers of the decision, making sure that the bureaucracies out there get the decision and implement it. I've been in lots of bureaucracies and I've seen the way bureaucracies that don't like decisions sit on them." An outspoken critic of the Iran nuclear deal, Bolton refused to elaborate on what policy changes he would advocate for inside the White House. Fox News host Martha MacCallum noted following a wave of departures by President Trump’s original team of advisors, Secretary of Defense John Mattis appears to be the last senior official who backs maintaining the Iran nuclear deal. Bolton was a staunch opponent of the 2015 Joint Comprehensive Plan of Action (JCPOA), better known as the Iran nuclear deal, and in August 2017 outlined a plan for leaving the agreement, writing that the US “can no longer wait to eliminate the threat posed by Iran”. The appointment of Bolton to replace McMaster comes is just the latest shake-up in the Trump administration. Last week, Secretary of State Rex Tillerson was fired and CIA Director Mike Pompeo was named to replace him. Like Bolton, Pompeo is a long-time critic of the JCPOA, and his appointment has been widely perceived as an indication the president plans to confront the Tehran regime over its nuclear ambitions in the coming months.